Home/Blog/Mutt-i-grees in Action/Connecticut Friends School Help Animals Exercise! 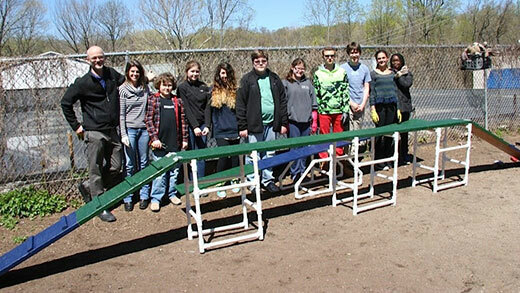 Students from the Connecticut Friends School completed a project as part of their school’s partnership with the Pet Animal Welfare Society (PAWS) in Norwalk, CT. 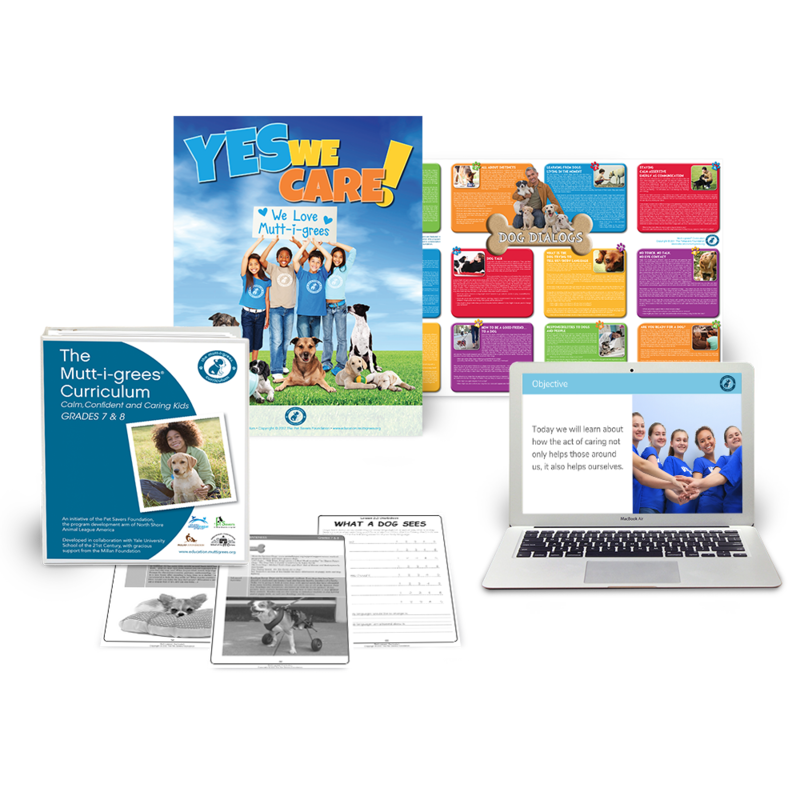 The students began using the Mutt-i-grees® Curriculum earlier in the trimester, and teachers wanted to be sure they made a service learning connection with their use of it. In early April, 7th and 8th grade students took a field trip to the animal shelter for a tour of the facility and a brainstorming session with PAWS volunteer coordinator Lisa DiDonato. At the shelter, the students learned about the mission of PAWS, the scale of its operation, and some of the ways the students can support or enhance the facility. Possibilities included the sprucing up of the outdoor areas such as the fenced in yard area and entrance to the facility, painting and decorating indoor rooms, lending a hand with endless washing of laundry, cleaning bowls and utensils, and building yard-play features like ramps, tunnels and obstacle course gates. Shayna Wolf, the school’s former After Care Program Coordinator (and current Mutt-i-grees® teacher at Saint Aloysius School in New Canaan) joined them on the tour. She helped identify projects throughout the spring trimester that the students could prepare for and execute, with the goal of making a genuine contribution to the lives of the animals and staff of PAWS. The students and staff focused their energy on creating a balance ramp for the dogs to use during their outdoor exercise time. They spent the next few weeks working together to design, create and assemble the equipment at the animal shelter in Norwalk. The students definitely felt a sense of accomplishment after the project was installed and is now enjoyed by the animals!